Fortunately, Shake Shack has helpfully provided a guide to placing an order with pronunciation guidance and all. Question is, will the employees at the till (or the customers behind you) have the patience to let you stumble through it all? 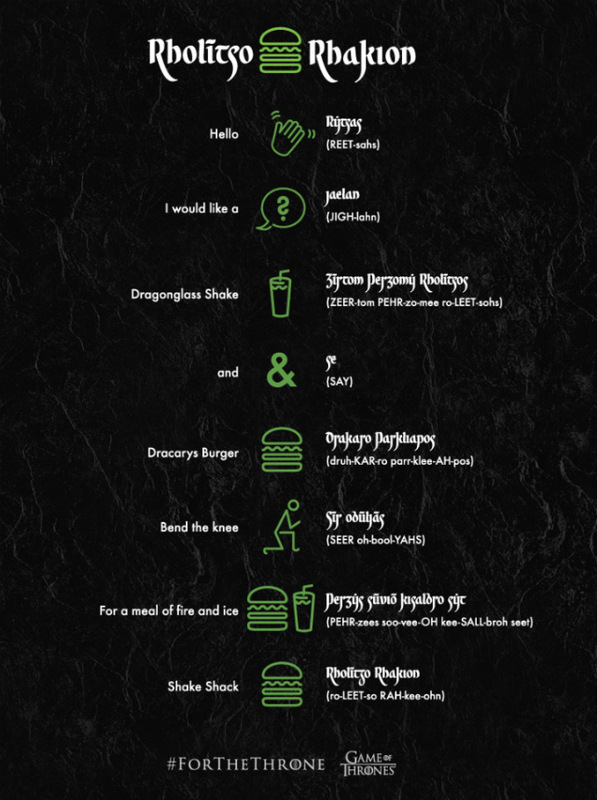 Starting today, you can order a Dragonglass Shake and the Dracarys Burger exclusively at the Madison Square Park Shake Shack in the Flatiron District. 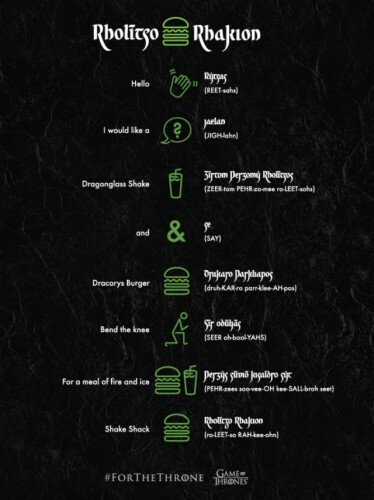 The Dragonglass Shake will be available through 5/19, while the Dracarys Burger will be available through 4/21, while supplies last.